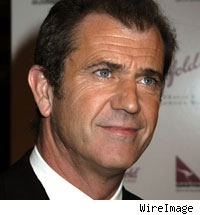 BULLETIN: Gibson: "I'm Not an Anti-Semite"
LOS ANGELES (AP) -- Mel Gibson says there's "no excuse" and there should be "no tolerance" for "anyone who thinks or expresses any kind of anti-Semitic remark." In a statement, Gibson says, "I want to apologize specifically to everyone in the Jewish community for the vitriolic and harmful words that I said to a law enforcement officer the night I was arrested on a D-U-I charge." Gibson goes on to say, "I am not an anti-Semite. I am not a bigot. Hatred of any kind goes against my faith." He asks to meet with leaders of the Jewish community for what he calls a "one-on-one discussion" to find "the appropriate path for healing."